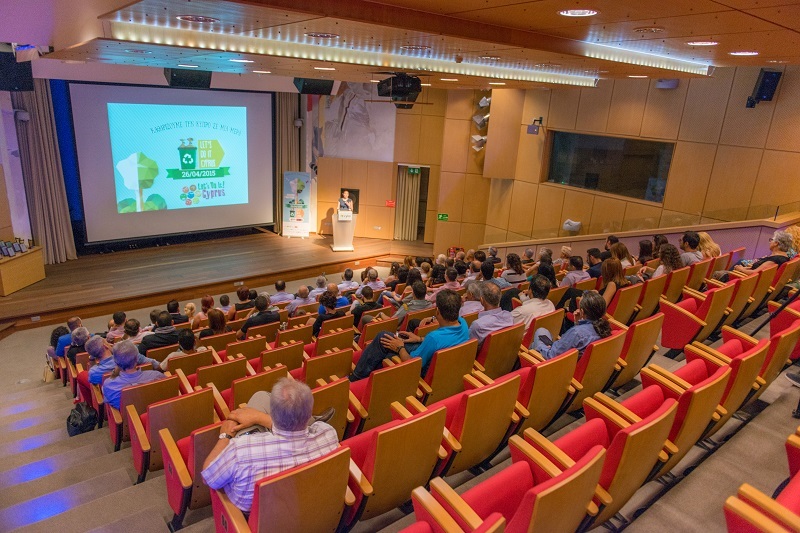 Main Page / News/2015/Let’s Do It Cyprus – Results! Let’s Do It Cyprus – Results! Let’s Do It Cyprus campaign. 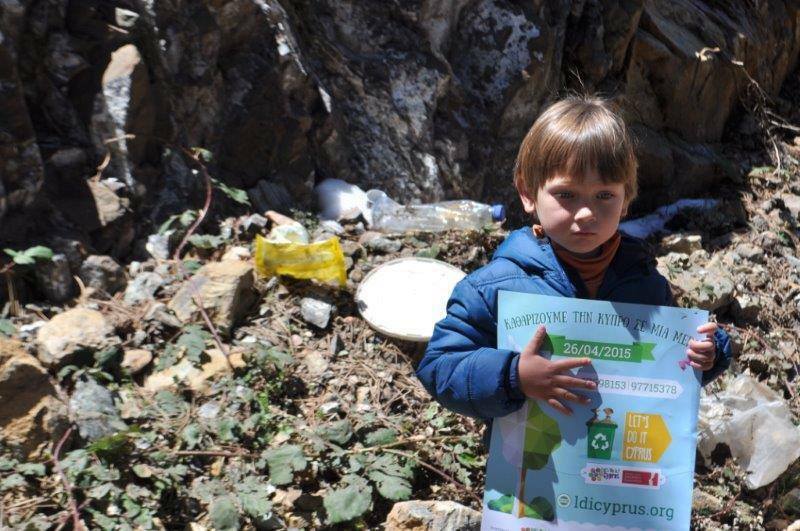 “Let’s do it Cyprus” is part of the worldwide campaign, “Let’s do it World”, which began in Estonia in 2008 with the aim to clean up the whole world from illegally dumped solids. Currently, more than 112 countries are working on this project, with Cyprus joining the pack in this modern environmental scope. The campaign, apart from cleaning the island, encourages team building, breaks socio-economic and racial barriers by uniting the island’s communities into one whole, where thousands of people stand together to protect their homeland as volunteers. This is a truly remarkable phenomenon. Back in 2012, when the cleaning campaign just reached the island, Andrey Dashin’s newly established company Alpari Financial Services was approached by the “Let’s Do It Cyprus” team to support the event at its very first steps in Cyprus. Dashin then became the major sponsor for the event and since then his cooperation with the organizers and her Excellency the Commissioner for the Environment became a tradition of goodwill. 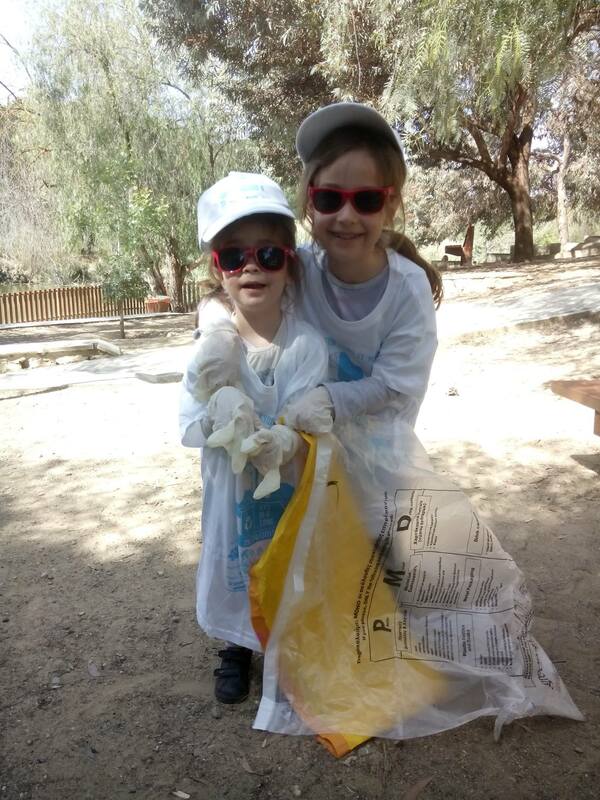 With the establishment of the Andrey & Julia Dashin’s Foundation last May, the Founders were happy to support a similar campaign called “Let’s Do It Mediterranean”, where its main goal was to help clean Cyprus coasts and beaches. The Foundation’s core objective is to extend a helping hand to any cause of genuine need in Cyprus. To fulfill this mission we will listen and respond to the needs of our society. Today, the effects of pollution which is a result of our own negligence are more obvious than ever. Therefore, protecting and environment should play a bigger role in our lives. It has become our prime responsibility to spread public awareness on issues related to the protection of the terrestrial and marine environment and sustainable waste management in order to ensure a cleaner environment for a brighter tomorrow. This year, the campaign set off on April 26th, when thousands of volunteers joined forces to clean the island streets and coast line from rubbish. 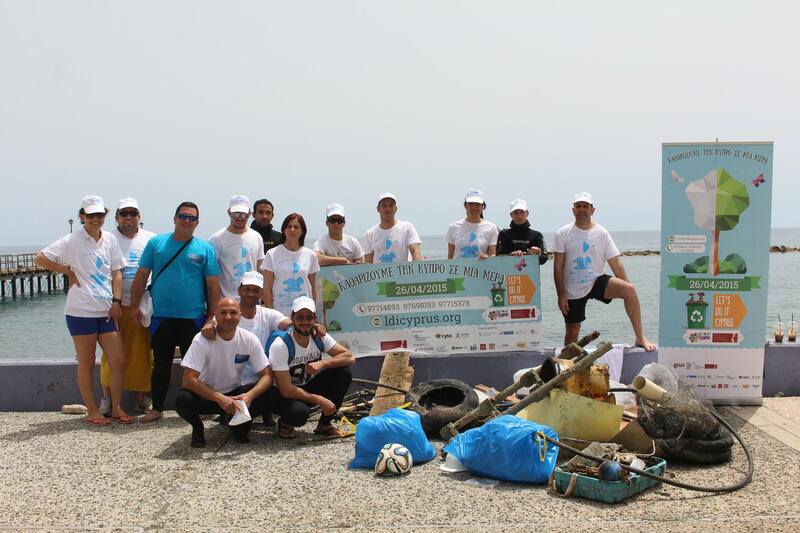 And finally the Pancyprian cleanup initiative is over and it is time to sum up the results and thank all the participants, volunteers and supporters! On Wednesday, 27th of May, CYTA once again welcomed the Let’s Do It Cyprus team and the Andrey & Julia Dashin’s Foundation for the closing press conference. The extensive media campaign, including more than 300 radio spots, TV commercials, Live Links, promotional events, bus stop and city banners, newspapers and webpages ads and many many more, have yielded an overall participation of 9,442 volunteers! Almost 9.5 thousand have stepped out on the streets on April 26th to help clean the island from illegally dumped solids! 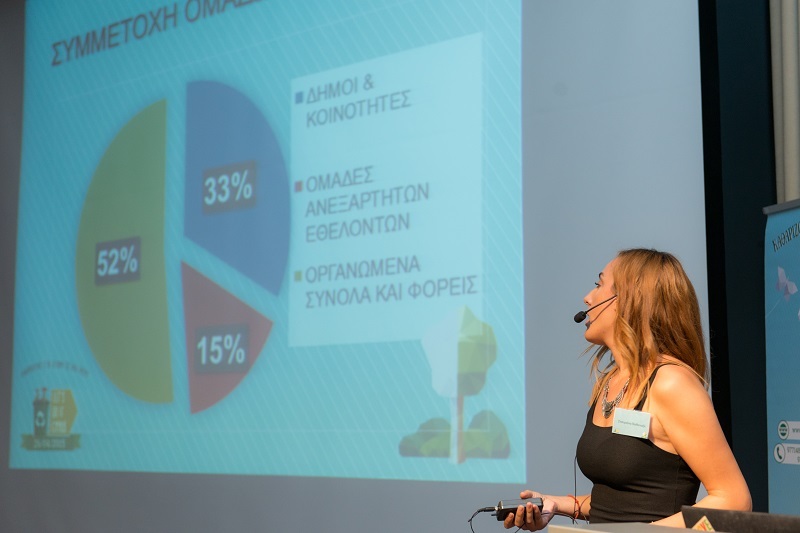 This year the campaign participants were: city and village municipalities, public institutions, commercial bodies, schools and other educational institutions, the National Guard, and many more from Limassol, Nicosia, Paphos, Larnaca and Ammohostos. In 2015 the overall collection of wastes and solids was even less than last year! 22,847 kg of waste was collected just in one day, which is 3 tons less than in 2014! This is excellent news for us all – it means that throughout the 3 years of the cleaning campaign’s existence we have managed to understand that environmental protection is paramount and that we must all help in preserving the island’s cleanliness! 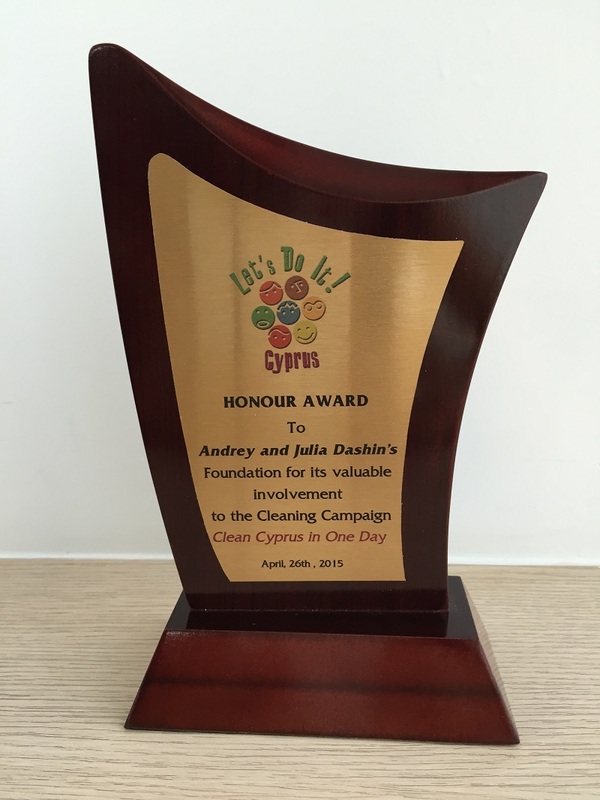 Following the Press Conference, the Andrey & Julia Dashin’s Foundation received an honour award for their contribution to the organization of the cleaning campaign. The Foundation is glad to support this great environmental pan-Cyprian move. Environment is the constituent of a healthy lifestyle and we have a duty to protect our habitat not only for our personal joy and wellbeing, but also to yield a better and healthier future for our children. The Foundation strongly believes in this statement and this is why we chose to support “Let’s Do It Cyprus”.